Dairy Barn is a luxury 5* Gold Award converted barn in a quiet location on a working farm well known for its conservation and Highland Cattle. It is exceptionally comfortable and furnished to a very high standard. 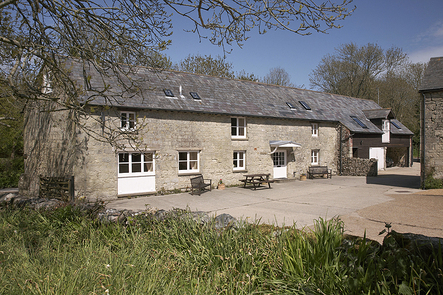 The farm is within an Area of Outstanding Natural Beauty (AONB) and nestles in a peaceful valley surrounded by Isle of Wight downland on which the Highland Cattle graze. 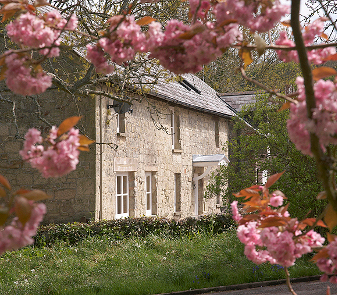 The key feature of the accommodation is the sense of space and open countryside. There are miles of paths and bridleways within a few hundred yards of the property, from which some of the most magnificent landscapes in the South of England can be seen on foot, by bike or on horseback. 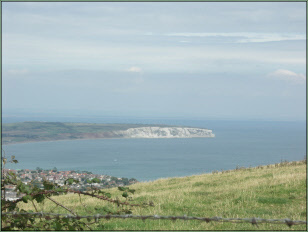 It is a truly idyllic setting, yet only a short drive away from the popular beaches of Ventnor, Shanklin and Sandown. 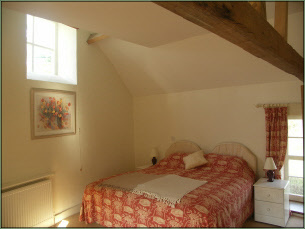 All three bedrooms are en-suite; two with bath and shower, one with shower. Two bedrooms have 6ft beds and the other a 5ft bed, which can be divided into twins if required. All bedrooms have large built-in cupboards. 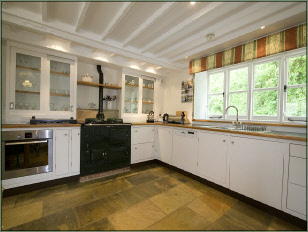 The stone floored kitchen is large and fully equipped with Aga, electric oven, gas hob, microwave, fridge-freezer, dishwasher, washer-dryer and a breakfast/dining area. 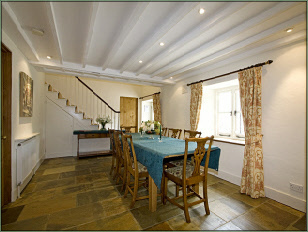 There is a separate large dining room with stone floor, off which is a downstairs cloakroom. 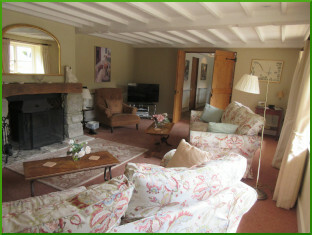 The spacious, sunny lounge with comfy seating for six has a wood-burner and Sky TV. 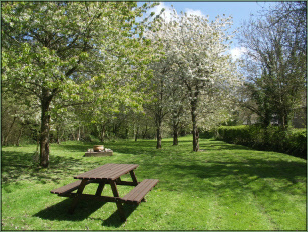 Exclusive use of a 2-acre secluded wooded garden with ample lawn area for picnic benches and BBQ. 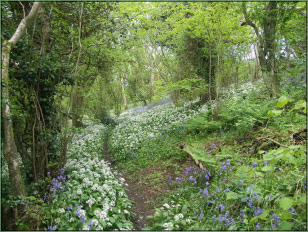 The magnificent scenery and the abundance of wildlife can be enjoyed from the miles of paths and bridleways which cross the downs or go through ancient woodland. All right on the doorstep!